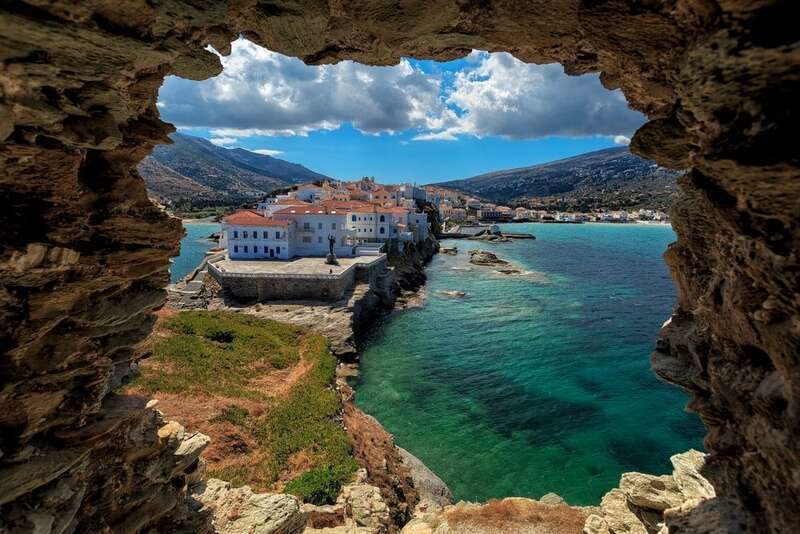 Andros, the northernmost island of Cyclades, is one of the closest to Athens and a popular weekend destination for the Athenians. Chora, the Capital of the island, is a mixture of Cycladic and venetian architecture, with beautiful medieval and neoclassical houses, properties of the famous island’s shipowners. Gavrio is the only ferry port, relating the island with Athens and the rest of the Cyclades. Among its many beaches Batsi is the island’s most famous resort, a picturesque village with beautiful narrow alleyways and paved little squares. 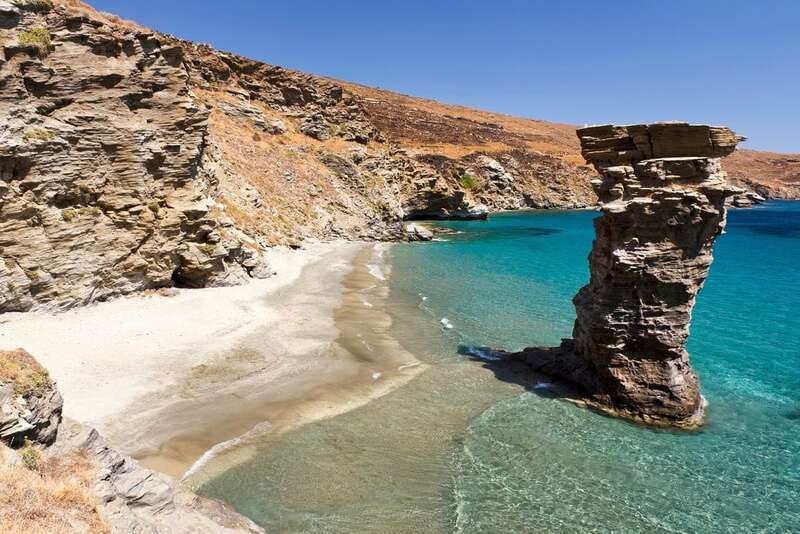 South of Gavrio, there are also some of the most attractive beaches, such as Agios Kiprianos, Psili Amos and Kipri, while on the northeastern coast there are more isolated beaches, like Limanaki, which offers crystal waters and a magnificent scenery. The valley of Messaria offers a beautiful landscape perched with dovecotes and small villages with byzantine churches richly decorated, which testify the wealth of the island shipowners. Andros, for the most part mountainous, is one of the wooded islands, offering an unspoiled natural beauty and great hiking opportunities.